Cover art from the 90% design presentation, courtesy of Sound Transit. On Wednesday, Sound Transit held an open house at Roosevelt High School to discuss the 90% station design benchmark for Roosevelt Station. As a part of the Northgate Link extension, this station will be the intermediate stop between the University District and Northgate stations, and is targeted to open in 2021. The station will serve a number of North Seattle neighborhoods like Roosevelt, Ravenna, and Green Lake directly and have access to several others by convenient bus connections. A large indoor bicycle parking facility, which will have space for up to 100 bikes with room to expand as needed. Bus stops along NE 65th St are being moved to align with the station entrance on 12th Ave NE. Bicycle runnels will be provided on entryway staircases. And, a wider sidewalk corridor will be provided along 12th Ave NE. Landing area for the drilling machines in place and ready, courtesy of Sound Transit. 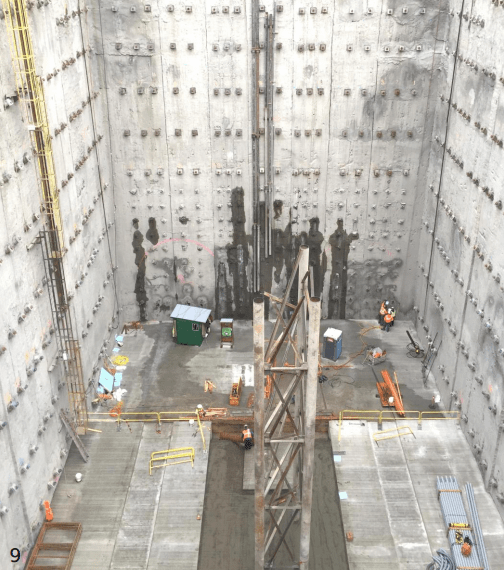 The Roosevelt station box digging is complete, crews are now pouring cement for the station box floor. The exit portal for tunnel boring machines has been completed and ready to receive them. Two tunnel boring machines digging their way from Northgate (Maple Leaf Portal) to Roosevelt rapidly; so far, Pamela, launched late last year, is roughly at NE 85th St and Brenda, launched in July 2014, is only roughly two blocks from the Roosevelt site. Three surplus sites owned by Sound Transit near the Roosevelt site could be ready from transit-oriented development as soon as 2020. All of the excavated dirt from the tunnel boring machines are being moved by conveyor belt back to the Maple Leaf Portal. Sound Transit will do this along the length of Northgate Link tunnels so as to reduce the amount of truck access that would otherwise be needed at the Roosevelt and University District sites. 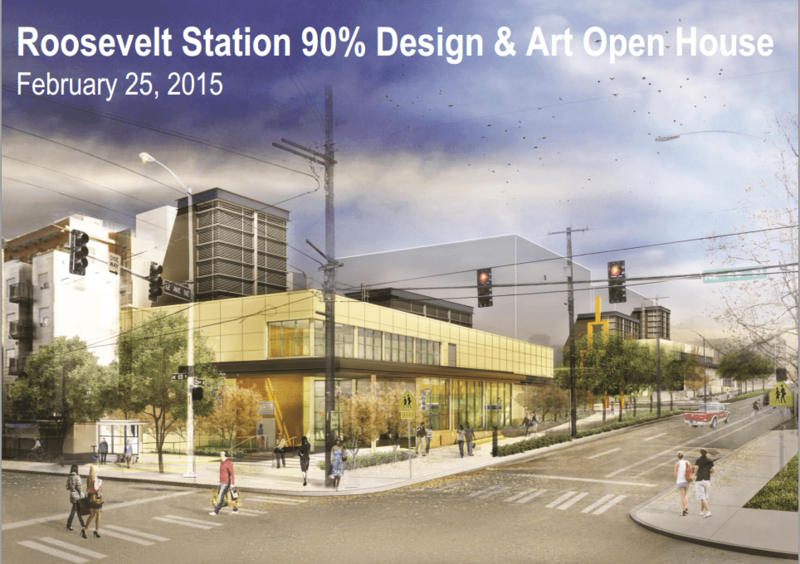 Sound Transit already has another 90% station design open house in the works. The next one being planned will focus on the University District Station, so stay tuned for more details as we get closer to that date. For the slides used at the open house, check out the full presentation document.